With experience spanning over 20 years, Advanced Office Interiors can truly lay claim to being the experts in the field of affordable office design fitouts, partitions, layout and design. Our work really speaks for itself, and can be found in some of the highest profile, dynamic offices around the city; we invite you to take a look at our gallery for a hint of what we could bring to your office fitout project. Whether it's complete office renovations or a simple, refreshing office refurbishment, we will work with you to develop a professional look and feel whilst also maintaining an effective working area that your business requires. This could take a range of forms, including but not limited to modern window frosting and signage, lighting choices, and ceilings and doors in a configuration that promotes openness or privacy as appropriate. For combined office and retail commercial spaces, we are also able to offer retail fitouts including everything from display racks and shelves to visual merchandising features such as carousel displays and window front elements. Our outstanding service in commercial office renovations includes project management, to assist in getting your new office ready as efficiently as possible and minimising business downtime. This way, instead of having to coordinate a range of suppliers and contractors, it's all done for you. Just relax and do what you do best, while Advanced Office Interiors do what we do best; complete office fitouts that are sleek, modern and optimally functional. Our team have extensive knowledge working in the interior design and construction space. They have worked with Melbourne businesses to recreate their workspace, using their skills in drywall construction, lighting, building maintenance, glass office interiors and window framing to do so. One of the products we specialise in is our System 44 demountable range. 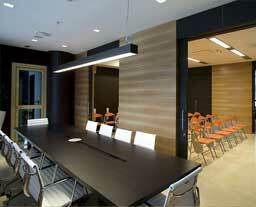 This is a perfect solution if you are looking to add a versatile partition in your office space. We offer a range of stylish yet affordable office partitions and other solutions for commercial office fitouts, along with a design service to fully maximise your interior requirements. We can even advise on finishing decor touches to draw it all together. Company wide solutions can be costly, that’s why we also offer refurbishment and renovation services for commercial interiors, as a complete yet affordable solution. For enquiries about what we can do for your your Melbourne business, please fill out your details in our Contact Form and we will be in touch with you shortly. Looking to upgrade or improve your office or work space? Advanced Office Interiors have been carrying out top quality Office Renovations for over 20 years with exceptional results. Click here to find out more. Contact Us now to arrange an immediate no obligation quote. Talk to us about our range of Glass Partitions and glazing panels. For an instant online estimation, try our space calculator. To help us gauge your office space needs, Advanced Office Interiors has provided this handy space calculator - Click here to find out more. © Copyright - All Rights Reserved - Advanced Office Interiors 2011.